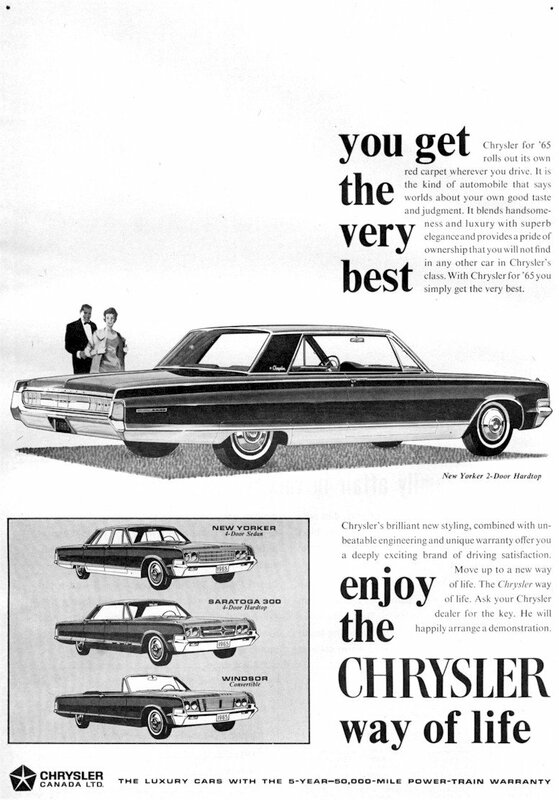 1965 would be the last of the "Letter" cars until being re-invented in the 1999 M series. Nearly every feature of the 300 L either standard or optional was made available on the non-letter 300s thus minimizing the necessity of a separate model line. Nevertheless, the standard 413 cid V8 with 390 bhp in the 300 L resulted in good performance. The only truly unique feature of the 300 L was a medallion at the center of its silver crossbar grille which glowed softly at night when the headlights were turned on. Despite minimal differentiating features, the 300 L enjoyed the second highest sales of any 300 Letter car. 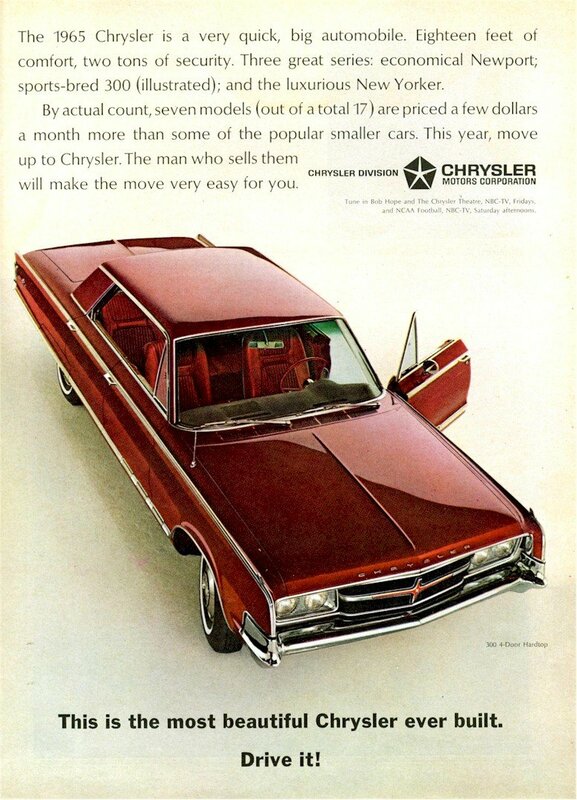 But this wasn't enough as Chrysler? decided to cancel plans for a 300 M. The 11 year run of the 300 Letter cars officially ended after 1965.